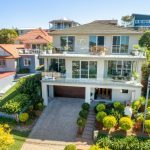 What's Listing in Merewether this Week? If you read our recent blog post featuring the ‘Best of Merewether’, we couldn’t blame you if you’re thinking of moving to the suburb! We have compiled a list of some of the great homes for sale in the suburb at the moment. Whether you are a first home buyer, investor looking for growth, empty nester or growing family, we have the property to suit your needs. APARTMENT FOR SALE 202/10 WORTH PLACE NEWCASTLE 202/10 Worth Place Newcastle, NswApartment Buy – Undisclosed The Edition Apartments, Newcastle, are beautifully designed spaces with high quality finishes which offer convenient living without the expensive price tag. HOUSE FOR SALE 9 THE BREAKWATER CORLETTE 9 The Breakwater Corlette, NswHouse Buy – $680,000 Located on the high side of this quiet thoroughfare, in possibly the most prestigious suburb of the Bay, this luxury, uniquely designed home has a lot to offer!